Sand, pebbles or stone? Tons of sports and entertainment or introspection and solitude? 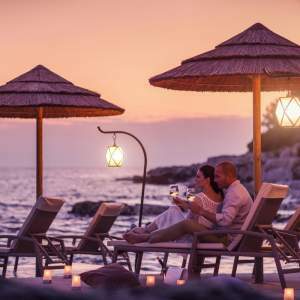 Whatever you're in the mood for, Poreč has just the beach to suit you. Poreč’s and its islands have 37km of coastline, where you can choose between 21 beaches bearing the Blue Flag, an international symbol of clean sea and well-kept beaches. 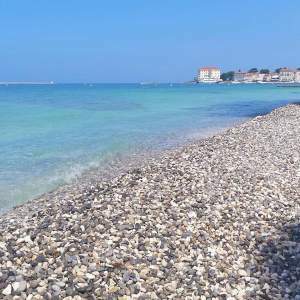 The quality of the seawater has been monitored for the past 25 years, and 20% of all Blue Flag beaches in Croatia are located in Poreč. During the summer, you can sunbathe throughout the 10-hour-long day and enjoy sea temperatures that climb to 28 degrees. But your heart will be happiest to see the crystal clear sea and the meditative, romantic view of the open sea and islands. Visit Poreč and find your own place under the sun! Be a piece in our puzzle of sea experiences, because you complete us!